Every so often, a best friend can come into your life who becomes your other half — a confidant, an adventure companion, a buddy to finish the food you don’t want. Even better is that for a lucky few circumstances allow these best friends to grow old alongside one another. For many pet owners, that joy of close friendship and unconditional love is a daily reality. The feeling of having a companion by your side through all of life’s most challenging and exciting moments is unrivaled — as is the joy of having a best friend who looks forward to your return not only at the end of every day, but who is ecstatic just to see you walk in from the next room. For senior pets in particular, this bond is forged over a lifetime. But various reasons, many senior pets are relegated to animal shelters, often due to health reasons, a loss of interest after puppy and kitten-hood, or even health concerns on the part of the owner. Many of these pets have decreased chances of adoption simply because of their age, but what many don’t realize is that there are dozens of reasons why senior pets make amazing companions — and why their hearts are so full of love. Gray hair looks distinguished. Just like humans, animals often grow gray as they age, particularly around the nose and paws. But every gray hair is a sign of wisdom and experience, not a mark of years — so cherish every last one! They only add to your pet’s unique character. They LOVE to love. Nothing can measure up to the gratitude of an older dog who has been rescued, and they will reimburse you with affection and appreciation a million times over. Senior pets may (or may not) have less energy than younger animals, so you might find them more content to snuggle and smother you with love. They’re often better trained. Puppy and kitten-hood is adorable, but litterbox and house-training is a big time commitment, as is navigating the mischievous chewing and exploration stages that young animals go through. With older pets, however, you have the leisure of skipping over the challenges that come with little ones in favor of a pet who is already calmer, more socialized, and more than likely housetrained. Yet, still with the same desire and ability to learn new tricks — they might even already know a few! What you see is what you get. Young animals are unpredictable — especially because genetics and socialization both play huge roles in the overall temperament your pet will have as adult — but a senior pet already has its personality established. A gentle, laid back older dog, for instance, will likely stay that way for the rest of its life. They relish the easy life. Just like an older pet may enjoy snuggling a bit more than a rambunctious young one, older pets are often more content overall. Since they don’t require as much exercise, you and your companion can simply relax together and enjoy the simple things in life. They make great companions for every lifestyle. One of the many wonderful traits of senior pets is that they are highly adaptable because of their maturity. Whether you’re a senior yourself or a young, highly active outdoorsman, there is an older pet with a personality to match your unique lifestyle. You might just be saving a life! Seniors have a much more difficult time getting adopted, so you will truly be saving a life by taking one into your home. You’ll be responsible for making their last years the best, most loving years they’ve ever known. There are dozens of organizations and rescue awareness projects that sponsor, support, and facilitate the adoption of at-risk senior pets across the country. Many of the individuals and teams who have started these programs have done so after being inspired by their own heartwarming experiences with a senior pet. Check out just a few of these incredible groups on a mission to save senior pets and check-out their photos — you might just find your next best friend! Started by Erin O’Sullivan, the girlfriend of Humans of New York photographer Brandon Stanton, Susie’s sponsors adoptable senior pets from all over the nation, helping older dogs find new homes. Called the “fairy godmother” of the SF-SPCA, Sherri Franklin launched Muttville after years of fostering and rehoming dogs on her own, with the goal of using foster, adoption, education, and community to address a problem bigger than she could tackle on her own. As a non-profit organization that rehomes, fosters, and provides medical care, Tails of Gray places a special emphasis on the lives of innocent senior dogs left homeless for any reason. Following their motto of “Each One Matters,” TOG provides quality medical care to each of its animals and helps to place them into loving, responsible, and permanent homes. Tails of Gray also sponsors a unique Art by the Dogs program that helps raise money for their rescue charges. 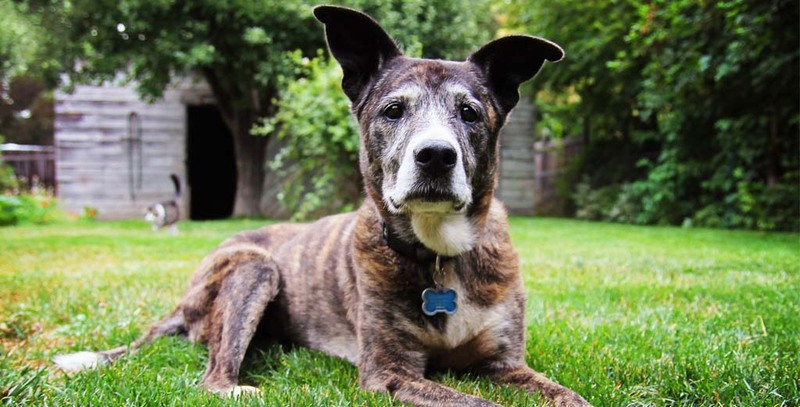 Inspired by the adoption of their own senior dog, Misty, the Senior Dogs Project came to fruition to facilitate the adoption of older pets considered “less adoptable.” Through education and the power of personal story-telling, Sr. Dogs seeks to encourage the adoption of aged dogs across the country. The Mr. Mo Project is run by Rowdy To The Rescue, an established non-profit group established in 2011. Chris Hughes founded The Mr. Mo Project with his wife Mariesa — together, they fight to save senior shelter dogs nationwide to honor the life of their late and beloved senior dog, Mr. Mo. With help from sponsors, rescue affiliates, Mr. Mo Project dogs receive financial assistance for the rest of their lives, whether in danger of being relinquished due to inability to afford healthcare, or whether in a current shelter program and at risk of euthanasia due to age and health concerns. We’ve mentioned end of life care and pet retirement before, but for pet owners faced with the prospect of passing on before their beloved pet, or the inability to provide quality care for their pet any longer, there are senior pet communities across the country and overseas who will give your companion a forever home tailored specifically to the aged resident. Regardless of health care and dietary needs, these incredible facilities shower their residents with the love and attention that they need, and ease the transition that often comes with losing their former owners. Once a pet becomes a resident at House with a Heart, it has a loving home for life. Here, Sher Polvinale and her highly trained staff devote themselves full-time to caring for their animals. Internationally recognized for their luxurious feline accommodations and one-time fee, is the ultimate retirement home for cats who, most often, have lost their owners due to age. Half-rescue, half-retirement home, Lincolnshire is currently raising funds to expand their community to help kitties who may not have had owners able to afford the pension fee. The Sunshine Home in Honeoye, NY, offers, among other amenities, a common room with a television, cat walks and various cat furniture — and every cat is celebrated and spoiled to their pampered heart’s desire! November is nationally recognized as Adopt a Senior Pet Month, but we encourage everyone to consider adding an older pet to your family no matter the time of year! If you’ve ever considered adopting a senior animal, check out this heartwarming rescue video by Hope for Paws to see why it matters! Here at KirinGie.Me, we aim to create a supportive community of pet-owners where you can share your pets and their unique stories — every photo, video, quirk, and “first” moment documented in one central place, customized to show off your pet’s personality, no matter their age!